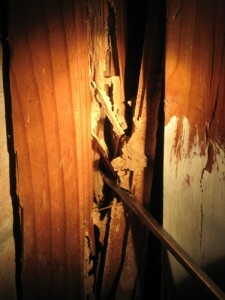 A termite infestation can cause more damage to a property than any other type of pest infestation. 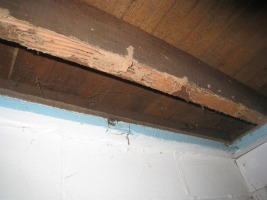 Due to the fact that a termite infestation can remain undetected for so long, causing internal destruction without any exterior evidence, a termite colony infestation could potential threaten the structurally integrity of the building and result in costly repairs. The National Pest Management Association estimates that in the United States termites cause more than 5 billion dollars’ worth of damage annually. For property owners that encounter a termite infestation, they spend an average of $3000 to repair damages. 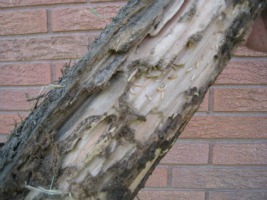 Termites depend on locating various plant material in order to support their growing colony and will consume anything from the wood in a property to the furniture inside a home or business. Although certain species of termites, such as Formosan and Subterranean termites, rely on the soil to sustain their colony, some species such as Drywood termites can simply thrive within the walls of your home or business. Romar Pest Control implements an integrated approach to termite control, and focuses on inspection and exclusion to ensure that any termites in your property are detected properly treated. 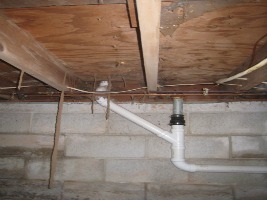 Our experienced technicians use the most up-to-date methods of termite control to not only eliminate your termite problem, but to also install future termite prevent techniques. When dealing with a termite infestation, it is best to get the help of a professional pest control company since termites can cause so much damage to a structure, but there are steps you can take to be on the look-out for termites in your home or business. On the outside of the property, look for mud tubes coming from the soil up along the foundation of the building. On the inside of the property, be aware of any unusual blistering on the walls in the paint or wallboards. During the springtime when termites swam, they can often be found around the doors and windows. There are many termite pest control techniques that can be used, from soil treatments to bait traps; call Romar Pest Control today and we can help you determine which treatment options are best for your situation.